is a nationally syndicated half hour weekly radio show featuring the coolest Christian music you’ve never heard. Reluctant Radio is co-hosted by Katy Kinard and Scott Cook in Nashville. Reluctant Radio has been on the air more than eight years and is currently broadcast on at least 30 radio stations from New York to California. Reluctant Radio is also heard worldwide by podcast available as a free subscription from the iTunes Store. If you have an Android the show is available on Player.FM Much of the music heard on Reluctant Radio is available for purchase from the iTunes Store. Radio stations: Reluctant Radio is a fast paced, uplifting, all music radio show with no talk or preaching. Reluctant Radio fits formats from CCM to Christian rock. All music is of excellent quality but has low to no airplay. Every artist heard on Reluctant Radio is identified for your listeners. Each show is 30:00 TRT with a 00:60 PSA at the very end. Reluctant Radio is available free of charge to Christian radio stations on audio CD or .mp3 CD by US Mail or by internet download through iTunes. A new episode is available each week. There are currently over 300 episodes of Reluctant Radio available for broadcast. Radio stations can broadcast as many half hour segments as needed to make the show fit the desired time slot. Reluctant Radio contains no commercial advertisements and is suitable for non-com radio stations. Your listeners will enjoy the coolest Christian music they’ve never heard, and it won’t skew your reporting. 300 previous episodes of Reluctant Radio will remain available on iTunes free of charge indefinitely. 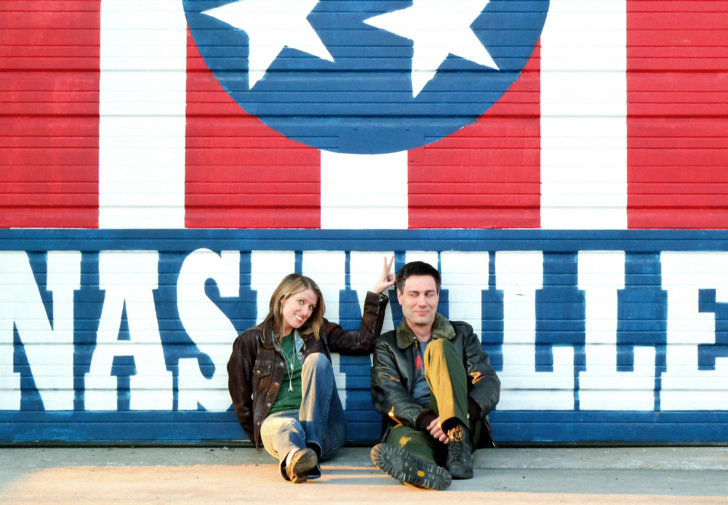 Here are your hosts of the Reluctant Radio show, Katy Kinard and Scott Cook in Nashville.